Hello and welcome back to my blog. 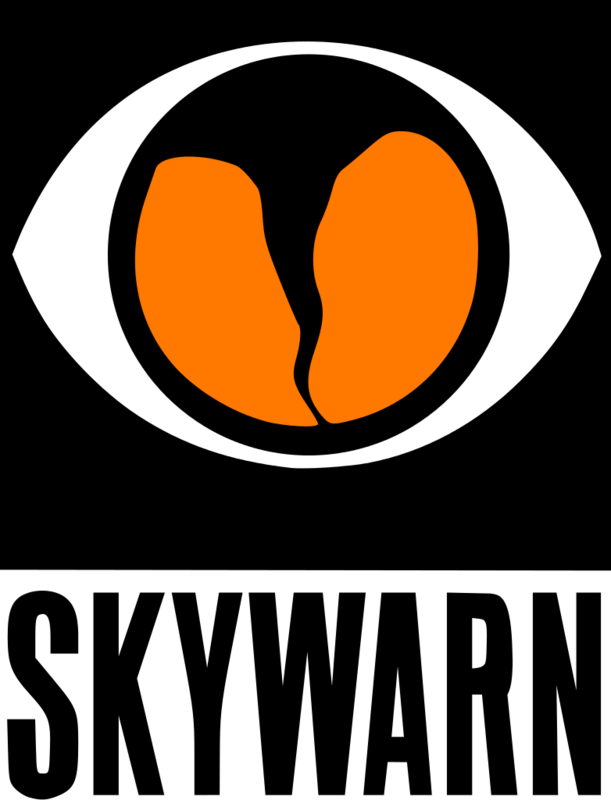 This post we will be talking about Skywarn. Skywarn is a little different from ARES and RACES in that it is not as much of a club type organization like ARES and RACES is. With Skywarn you don’t even have to be an amateur radio operator to be a skywarn spotter. Skywarn was start by the National Weather Service in the late 1960’s, but it didn’t really take off until the mid 1970’s. Since then it has grown to nearly 290,000 trained spotters and it continues to grow every year. Skywarn spotters are the general public’s first line of defense when it comes to the wrath of mother nature. On an average year, there are over 10,000 severe thunderstorms, 5,000 floods and more than 1,000 tornadoes across the US. Anyone with access to some form of communications can be a skywarn spotter. Skywarn spotters can be police officers, fire fighters, EMS personnel, dispatchers, and public utility workers. Even people affiliated with hospitals, schools, churches and nursing homes. So what do you have to do to become a skywarn spotter? Basically all you have to do is take a skywarn class given by the National Weather Service. Classes are given on an annual basis. To locate a class near you, contact your local NWS office. So are skywarn personnel storm chasers like I saw on the movie Twister? No, skywarn personnel are not storm chasers. Storm chasers normally fall into three categories. The first category are meteorologist that are doing research. Second are those people that are trying to get pictures to sell to the news media. The third is thrill seekers. Skywarn personnel generally stay close to home or at the very least in their own county. Thanks for reading my blog. Please like me on facebook and follow me on twitter, LinkedIn and google+, links to all of them are up on the top-right of my page. Next post we will be talking about RACES and how all three of these organizations (ARES, RACES and Skywarn)Â are connected together.